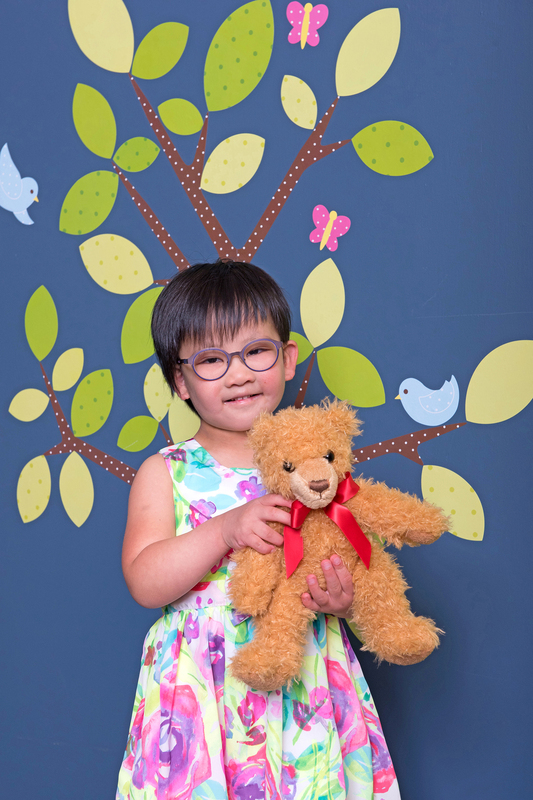 Vivien was diagnosed with a rare heart disease and failure to thrive as an infant, but was able to overcome this hurdle with her supportive family and the dedicated Early Intervention Therapy (EIT) program team at the BC Centre for Ability. She was recently diagnosed with Kabuki Syndrome and in true Vivien form, continues to blossom while maintaining a cheerful outlook. At nine months old, Vivien was tube-fed and displayed motor and communication delays. And while her parents were able to understand their daughter’s medical issues, without a diagnosis it was the developmental milestones that were less tangible and unclear – she wasn’t yet able to eat solid foods, walk and express herself at the typical milestones. Vivien’s team of EIT therapists (which consisted of an occupational therapist, physiotherapist and speech therapist) worked closely with her and her family to help make these goals come true and after years of therapy and hard work, Vivien was reaching key developmental milestones. 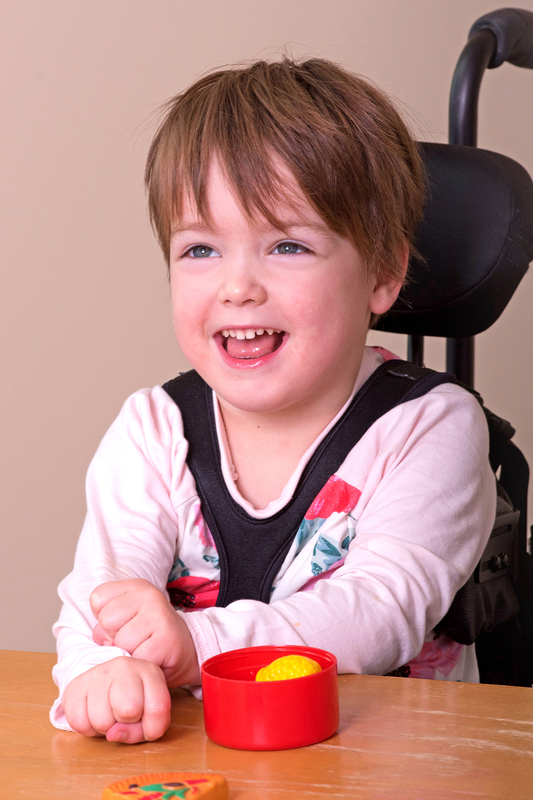 Vivien now uses words, pictures and the TouchChat app on her iPad to communicate with her family and therapists, and is getting better at feeding herself every day. She walks upstairs on her own and is a force on the playground. Vivien also enjoys her therapy horseriding lessons with Shadow, the biggest horse in the stable! Vivien’s parents Marlene and Ian are grateful for the EIT team’s commitment and devotion: “[BCCFA] lifted us out of a dark fog and gave us light, hope and kindness…. you’ve made that much of a difference in our lives.” They attribute Vivien’s success to the EIT team and appreciate that the staff set realistic expectations while also integrating Vivien’s individual preferences. At present day, Vivien remains a happy and persistent four-year-old, who enjoys socializing, going to preschool, music and singing. Vivien continues to overcome challenges armed with her megawatt smile and the determination to succeed. We are honoured to recognize Vivien as a 2017 Hero of Ability. May your dreams come true.